Have you ever needed to send money to someone in another country? Whether you are doing business internationally, traveling around the world, or studying abroad, chances are you will need to transfer money to another country some day. Most of us use banks to transfer money internationally. When the money transfer is complete (sometimes after a long time), it is often surprising to see how much money was “lost” during the transfer. Are banks the best way to transfer money internationally? If not, then what is the best and the most economical way to transfer money internationally? 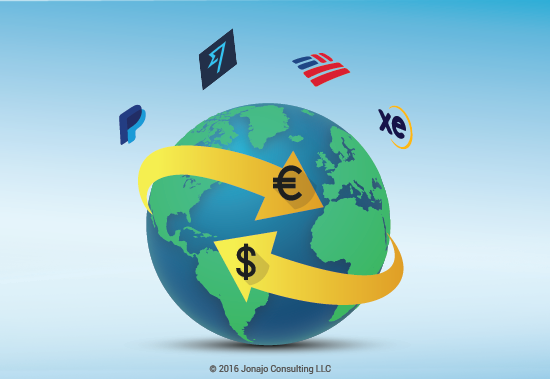 As an international company, Jonajo Consulting has executed and recorded many international money transfers in the past year using four money transfer providers. We would like to share our findings with you. 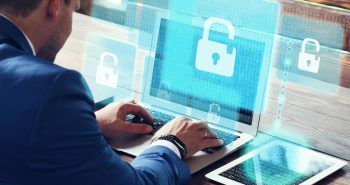 Among these four providers, XE.com, PayPal, and Transferwise.com are online transfer providers. We have also included Bank of America (BofA) to represent the banks. The transferred amounts ranged between tens of dollars to thousands of dollars. 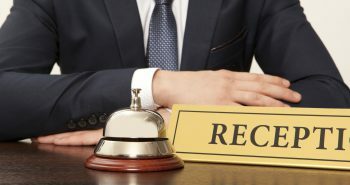 For all these transfers, we recorded three numbers: The stated exchange rate, any additional service fee, and the Mid Market Rate on that day according to xe.com. Using the exchange rate and the service fee, we calculated the effective exchange rate. We then divided the difference between the effective exchange rate and the Mid Market Rate by the Mid Market Rate. The resulting percentage represents the cost per transaction we paid to the providers as a percentage of the total transaction amount. From this table we can see that XE.com is the most economical way to transfer money internationally. However, the percentage ranges do overlap. For example, we paid XE.com a percentage between 0.18% and 2.33%. The percentage varies depending on the transfer amount as well as daily spread fluctuations. XE.com is not always better then Transferwise.com, and vice versa. As a matter of fact, the reason XE.com wins is because it doesn’t actually charge any per-transaction service fee. 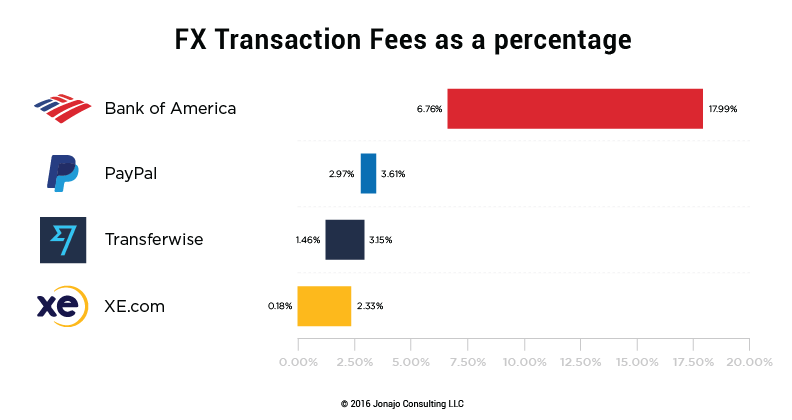 In contrast, Bank of America charges $35 per transfer, which makes it the most expensive provider for transactions of this size (tens to thousands of USD). We conclude that XE.com is, in most cases, the best choice for transferring small amounts of money internationally. We trust that this information would be helpful for individuals and small businesses who need to transfer money internationally.